Yesterday I shared a great activity book with you and guess what today I have another awesome book to share! 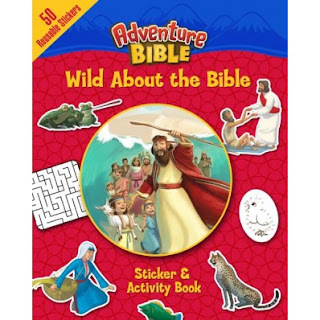 Adventure Bible: Wild About the Bible! This book includes activities like coloring pages, word search, stickers and mazes. It is designed for ages 4-8. Brightly colored pages that share God's story in a captivating way for young kids. The coloring pages bring the story alive!